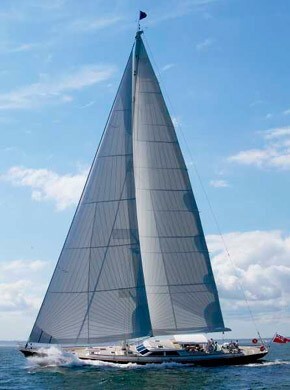 Sailing yacht WHISPER is a fantastic 116' sloop as designed by Ted Hood and Ted Fontaine and launched in 2003 by Dutch builders Holland Jachtbaow. 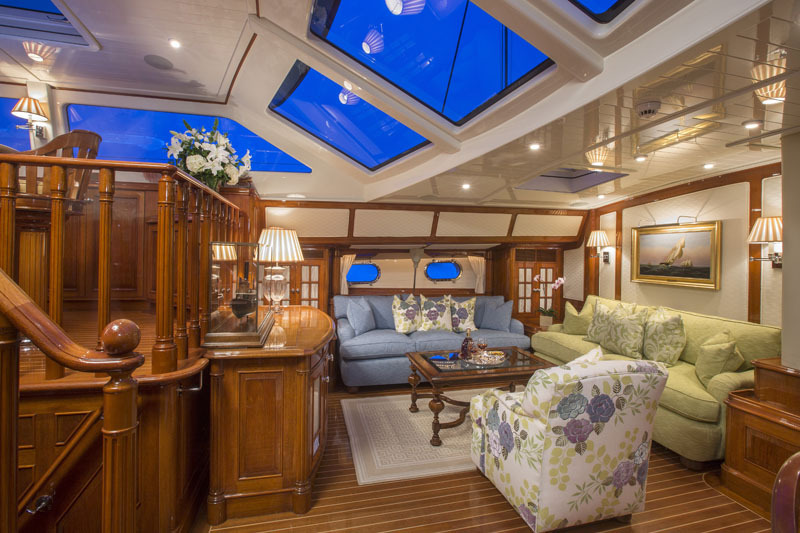 She also features a spendid Andrew Winch interior design. 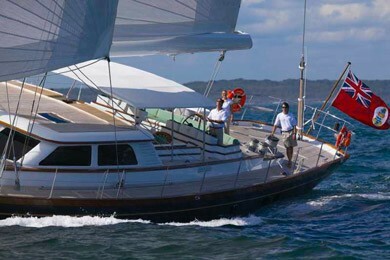 Together they have produced that most desirable combination of high sailing performance and supreme cruising comfort. 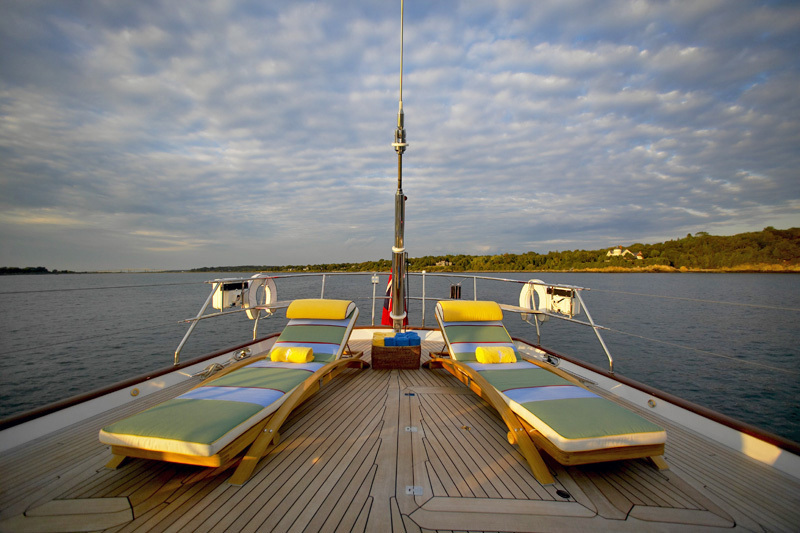 Whisper's voluminous delta hull, with a deep centerboard, is driven by a powerful sloop rigged sail plan. 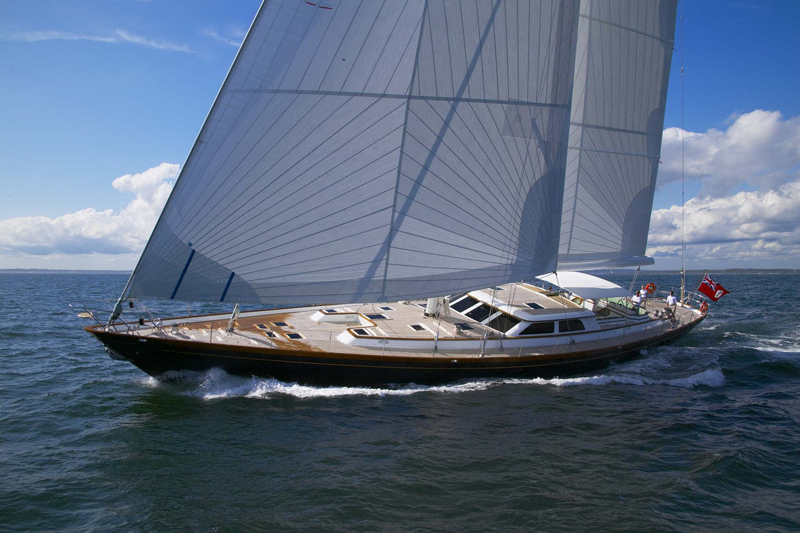 She carries Holland Jachtbouw's first retractable rudder-within-a-rudder, to assure shoal-draft cruising, in beautiful shallower bays, as well as controlled offshore power reaching. WHISPER is truly a superb sailing super yacht. 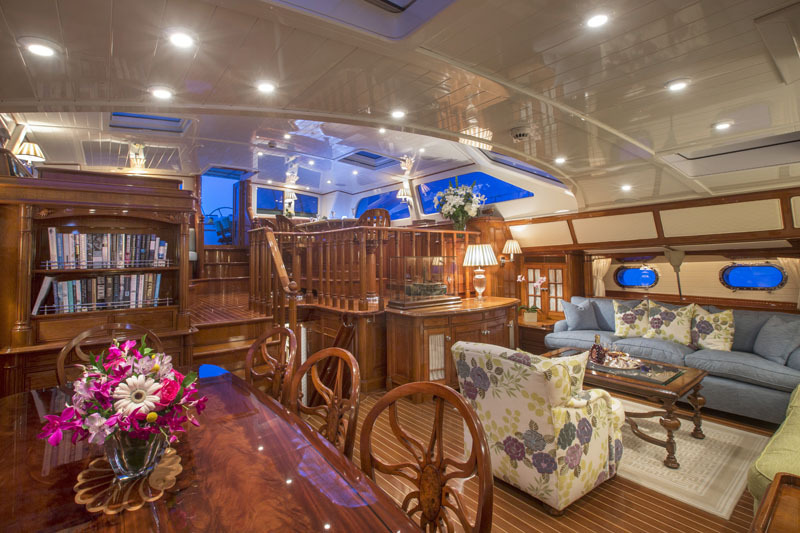 She offers a lovely wooden interior of the highest possible build quality and design along with powerful sailing capabilities. 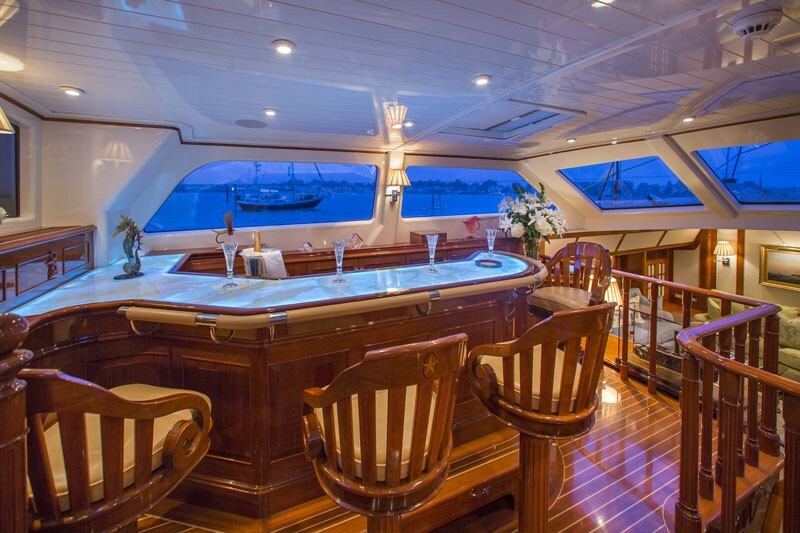 She has excellent views from her well designed raised pilot house/bar area. 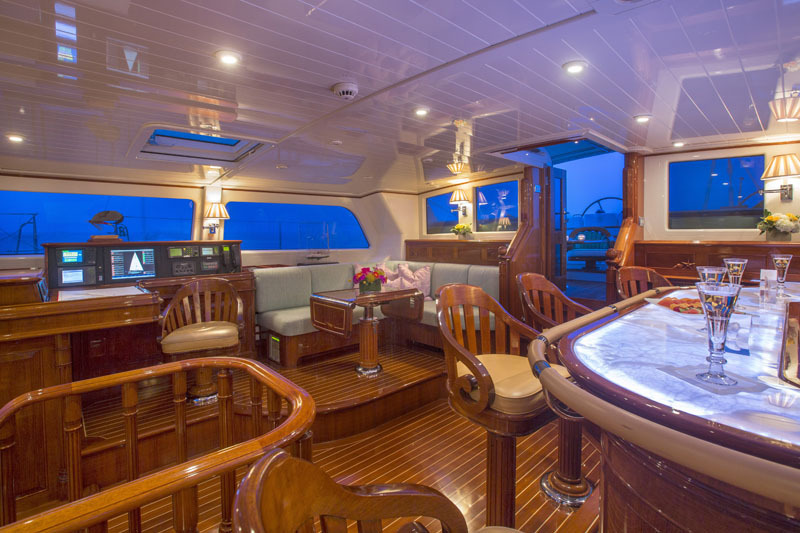 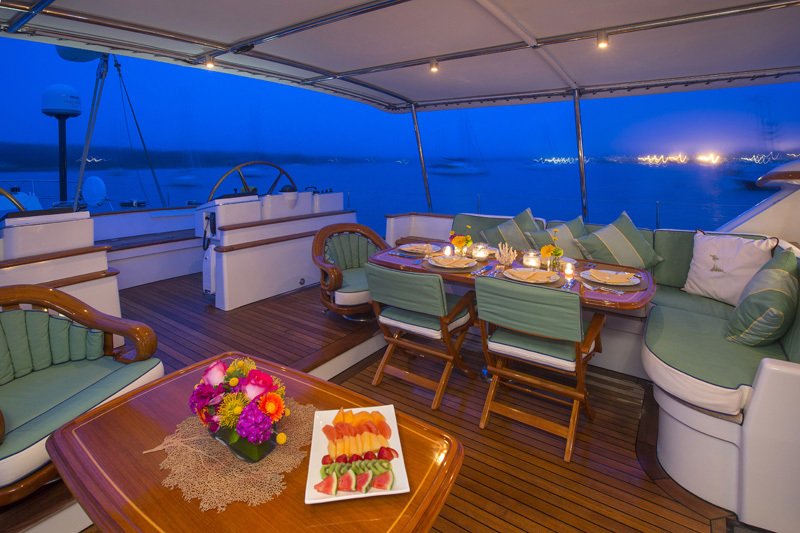 Her generous cockpit, which can seat up to 10 guests, is another well designed space for dining with its bimini sun shade. 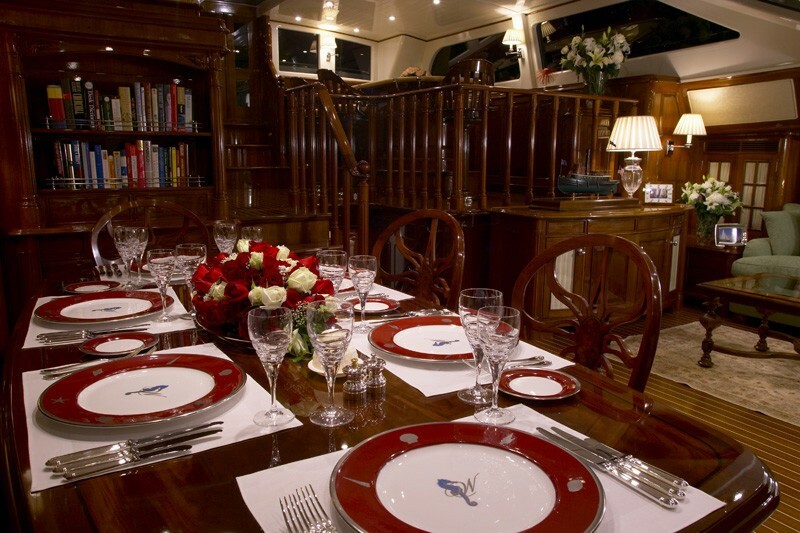 There is also a full width salon with dining area. 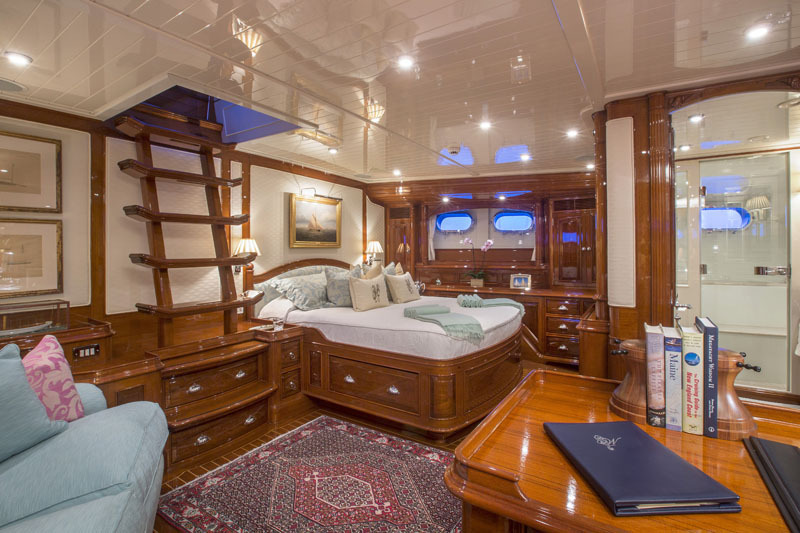 S/Y WHISPER provides accommodation for up to 7 lucky charter guests in three large and well equipped en-suite cabins + a nanny cabin. 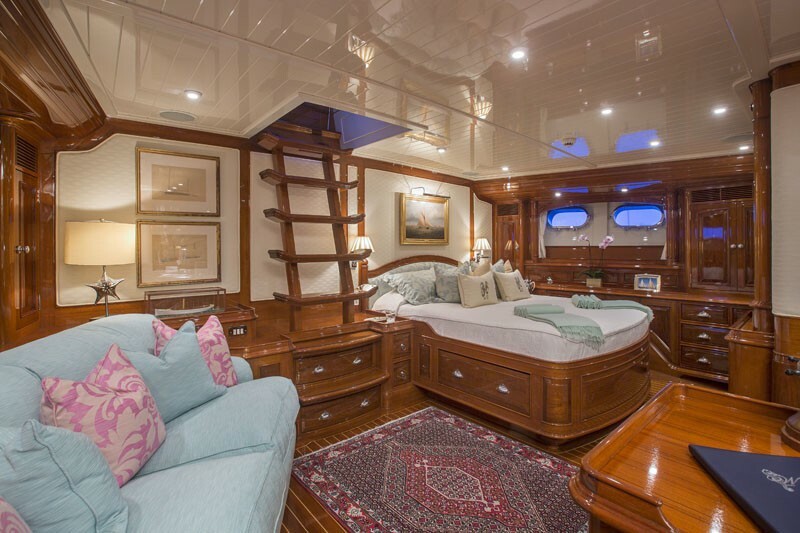 Her full beam master has a centerline Queen bed and a steam shower in the en-suite. 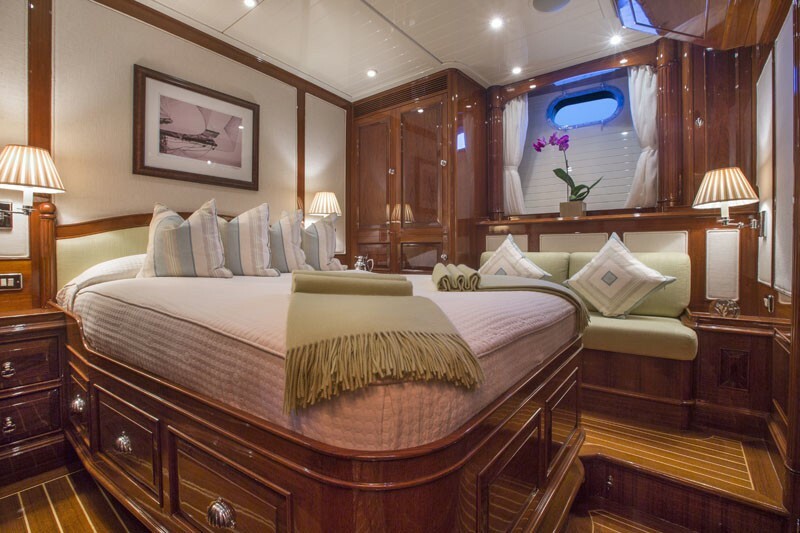 The guest cabin has a double bed, also with en suite facilities. 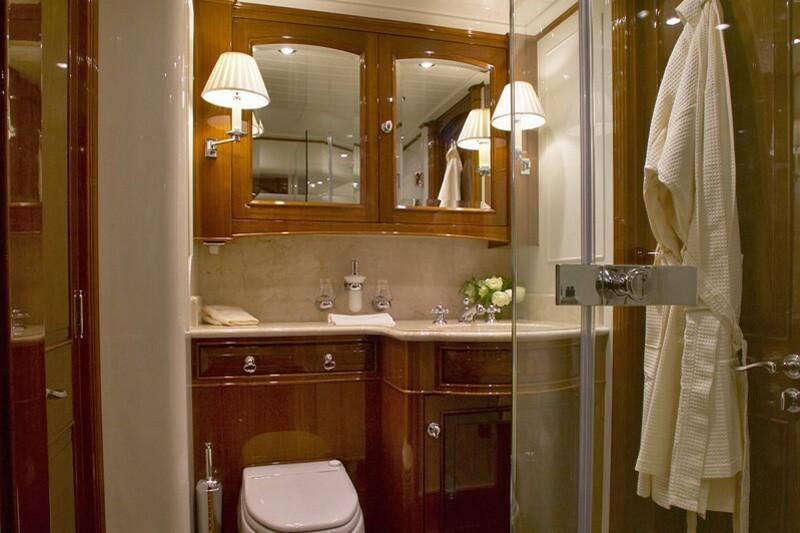 The guest with twin beds also offers en-suite with shower. 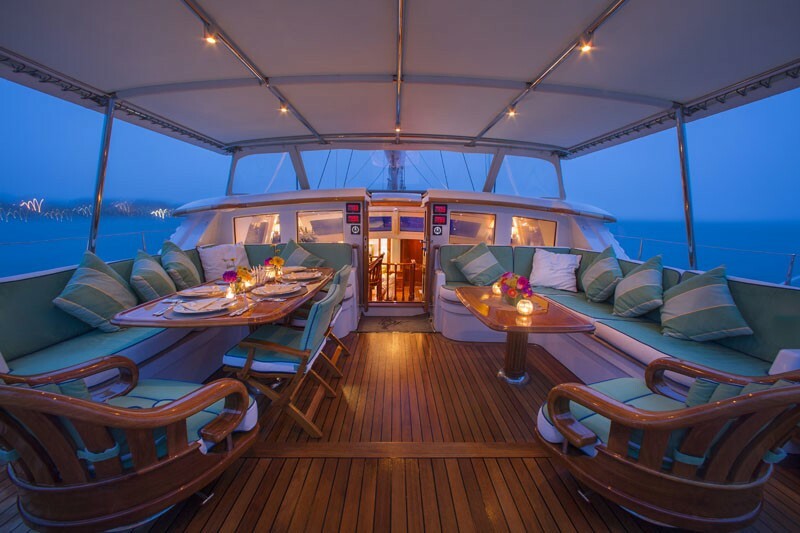 There is a Single cabin for a nanny or staff. 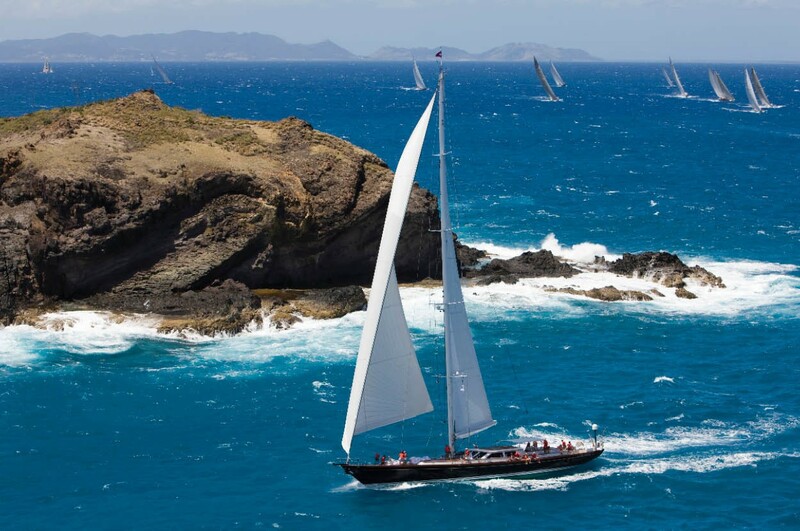 Overall WHISPER is a super yacht which provides a fantastic sailing vacation experience of a lifetime in the Caribbean and New England locations. 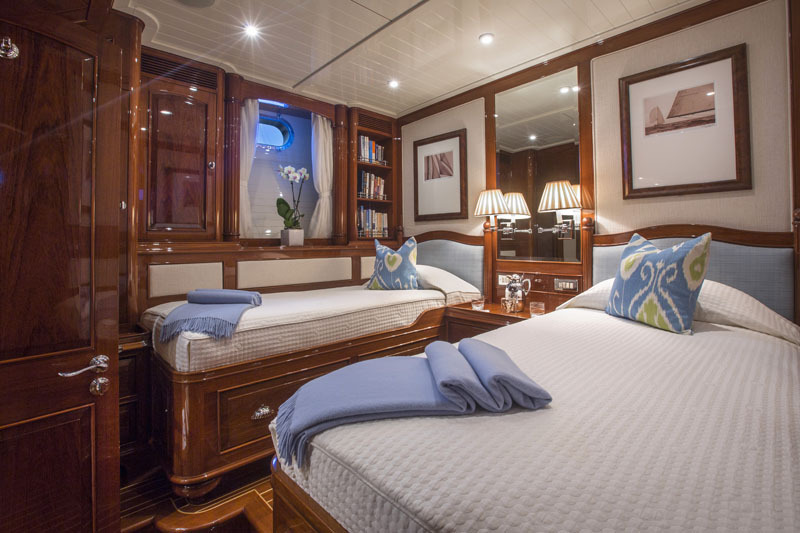 WHISPER'S Guest Accommodation: Full-width master suite with queen bed, desk and settee, one stateroom with double bed, and one stateroom with twins. 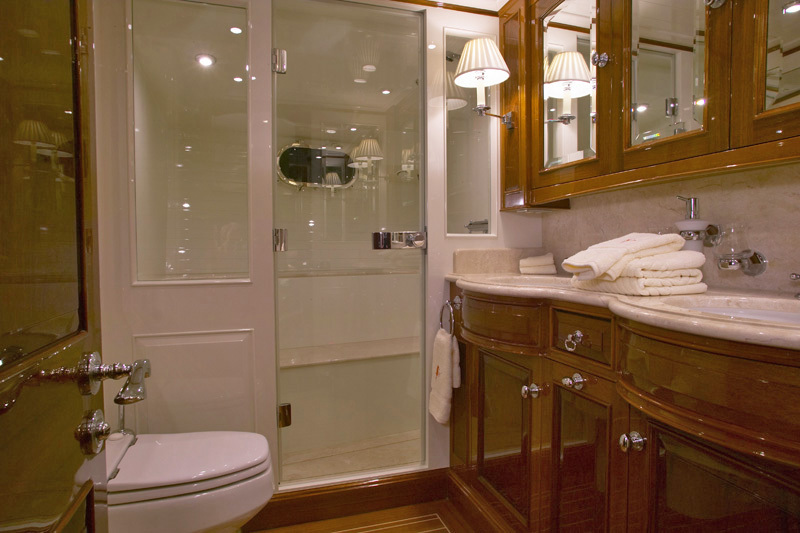 All have ensuite bathrooms with showers and ample storage. 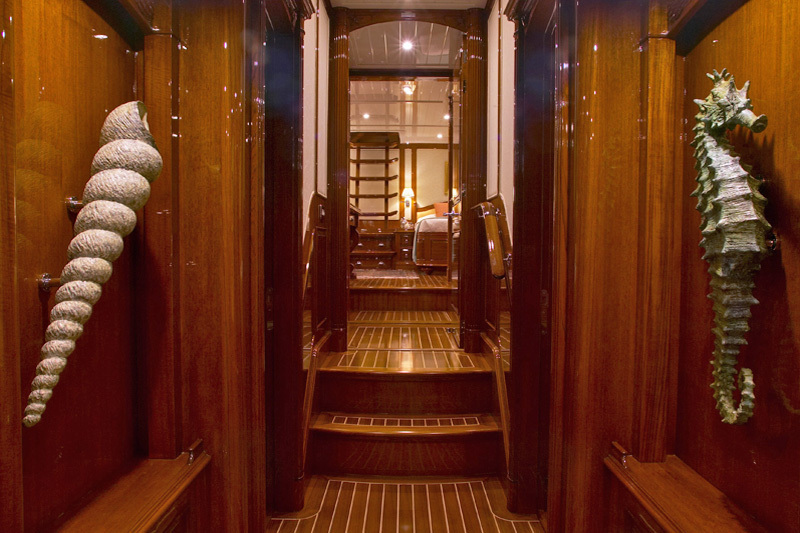 There is also a Single cabin for a nanny or staff.